I have been busy this season but I have not forgotten about one of my favorite actors, Idris Elba and his hit television drama, ‘LUTHER’. I really called this one last year. ‘Luther’ was previewed at the New York television Festival by BBC America. As we all know Idris was on the hit television show, ‘The Wire’. This season has a few new characters added to the mix. Thanks to BBC America, I am able to share with you a bit on where the writer of LUTHER, Neil Cross is taking the character and what Idris Elba thinks of his character John Luther. I will be back with more on ‘Luther’ this season. smoking in the hands of Alice Morgan – a psychopath who may be Luther’s worst enemy. Or who may be, y’know – something else entirely. Luther was bleeding. The police were on their way. So what now? up to tell bigger stories over a wider canvas. dreary world of crime that caused her death. series one saw some gruesome cases and characters. filming the sequel as two, two-part specials? honored at the 42nd NAACP Awards for Outstanding Actor in a Television Movie. He talks about the reaction both in the UK and in the States. “He’s a dark, very brooding character and that’s always fun to play. I also like that he’s extremely dynamic and fearless and I love that fearlessness about him. he finds the most challenging? 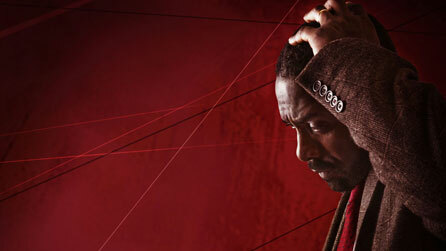 Luther airs on BBC America, Wednesdays at 10pm est. intended victims, or will his focus be compromised? motive, leaving Jenny alone and vulnerable. death as a game and whose actions can’t be predicted? convict Alice and they’ve subsequently formed a strange and uneasy friendship. strangely drawn to Luther’s side. brightly, those who stand too close are liable to get burned. turns to the man he utterly and completely trusts, Mark. daughter Jenny’s life. Luther owes her big time. spiral, unable to help herself. More to come on Luther- Stay Tuned!! This entry was posted in BBC America, Idris Elba, Luther Mini Series BBC America, Luther Recommissioned by BBC and tagged 'Luther', BBC America, Idris Elba, Luther mini series. Bookmark the permalink.